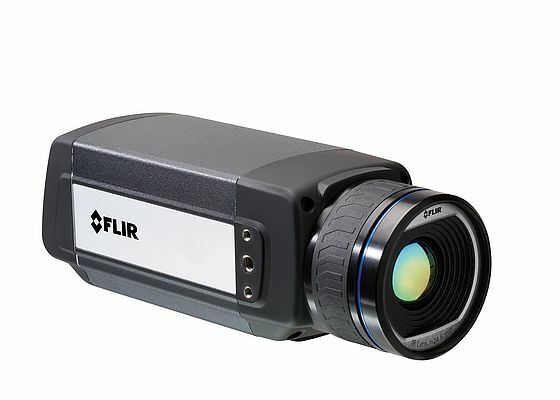 An affordable, compact and powerful high-resolution uncooled thermal imaging camera, the FLIR SC655 helps prevent design faults, enhances product quality and cuts time-to-market. Providing both high frame rates and full 640 × 480 imagery, it enables capture of >300,000 pixels of accurate temperature measurement data in a single image. Thermal distribution and variations can be captured and recorded in real time, allowing the user to observe and accurately quantify heat patterns, dissipation, leakage, and other heat-related factors in equipment, products and processes. High-speed windowing modes, digital control of image flow and recording as well as full compliance with both GenICam and GigE Vision protocols, make the camera ready to integrate with a variety of third-party analysis software packages.